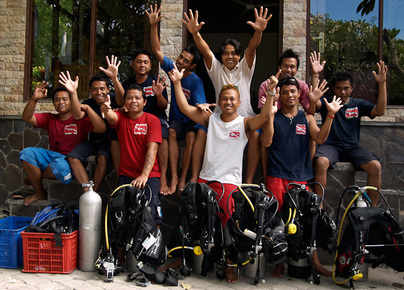 Here is a photo of our dive staff at Liberty Dive Resort. These are some of the best dive guides you will ever find! 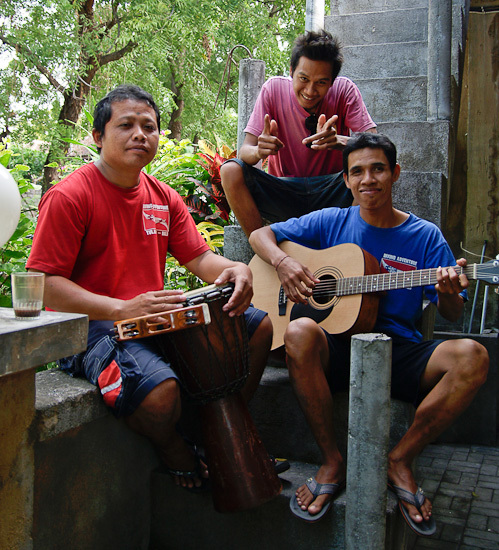 Many of our staff are also part time musicians. If your lucky they will serenade you over dinner !